Remember the Clapper? And those catchy infomercials? The Gecko Switch is kind of like the 21st century version of that. 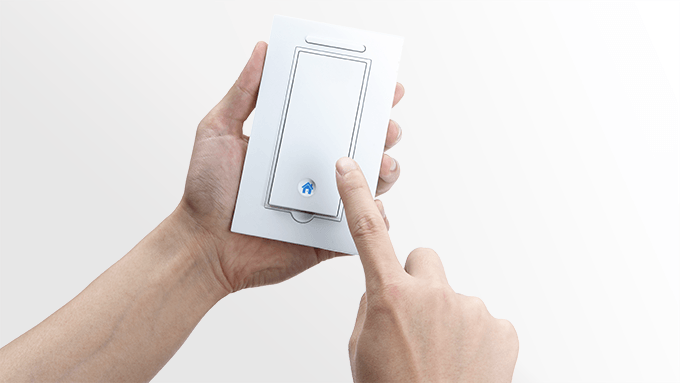 It's a movable light switch that can be placed anywhere in your home, which means you can turn off the lights without actually getting out of bed (the main draw of the Clapper, of course). And since this is the 21st century, it's also got a smartphone adaptation. You can schedule the Gecko light to go off and to turn on gradually to wake you up (so much better than an alarm clock, though we fear not quite as effective). How does it work? You simply replace an existing light switch with the Gecko Base Switch — no electician needed — and then put the other Gecko Switch anywhere you want. Also, if you can't find it, you can use the search function and it'll beep. The Switch is currently being funded on Kickstarter (it needs about $130,000 more and has a month to raise it). If you pledge $65 you'll get a Base Switch and Gecko Glue (which allows you to attach the Gecko Switch to the wall), and nine room icons (which help you remember which light it controls).